One of the things that the United States is known for and prides itself upon is found in the world of being a small business owner. The epitome of capitalistic ventures, small businesses employ over 56 million people across the United States, and actually comprise over 99 percent of businesses in total. Millions of Americans every day work towards having a successful small business, and many millions more dream of making this happen. When you are wanting to turn your ideas into something more tangible, First Western Federal Savings Bank is here to help you make that happen. From cashing out CRP payments to helping you on the path to acquiring a non-recourse loan, First Western will help. We are the nation’s leaders in IRA loans, and we would be honored to work with you. Learn about the best ways to start a business, and contact the experts at First Western to get your dreams started! You’re the one calling the shots. With your own business, you are creating the work culture and the teams, and many feel inspired by the idea of not having others tell them what to do (though arguably, a good boss listens with intention to their employees). If you’ve always struggled with taking orders or felt that you could do a job better, then becoming a business owner could show some serious potential. You have an innovative idea. If you’ve had this idea for something that you just can’t seem to shake, becoming a business owner might be a profitable venture. This could entail a product that has yet to exist, or a creative platform or website that you feel confidently in its ability to make a difference. Regardless of the idea, we have always needed and thrived as a society from innovation. We wouldn’t have any of the things we have currently without someone having an idea, and then trying to make something of it. There’s nothing to say your idea couldn’t turn into something greater (well, within reason, of course). You see an existing problem and have a solution. This has been the basis for the start of so many successful businesses. Maybe the nearest restaurant to your neighborhood is 20 minutes away, or maybe there’s a lawn care service that does great landscaping work, but doesn’t provide tree removal. Or maybe you see some major flaws in an app, a tool, or anything else. If you have an idea that you feel could improve something, there’s a lot of merit to considering creating a business in the spirit of problem-solving. You have an incredible passion for something. Everyone should have something that provides them with a sense of enjoyment, and even perhaps a sense of purpose. Music, art, athletics, helping others, heck, even knitting—any number of things can serve as extraordinary forms of motivation and/or means of expression. Having a passion is great, but in truth, it should not serve as the only reason to start a business. It’s kind of like if you love animals, that doesn’t necessarily mean you should start your own vet clinic. Being passionate about something can be just as fulfilling when practiced in downtime. Yet if your passion is the thing. If you can’t imagine not living your life without practicing this passion all the time, if your 9-to-5 is slowly killing you by not allowing you to do what you love all the time, then you might want to consider starting some form of business venture. Many former dancers have gone on to create exceptional dance studios, just as many who have loved anything cosmetic-related have built their own salons. A certain businessowner by the name of Bill Gates would not have achieved any success, had he not devoted himself to his love of computers. Your passion might very well exist comfortably as something you do when there’s time (or hopefully, do everything possible to make time for). But if it’s something you feel an absolute drive and motivation to make into a career, starting a small business might be the solution for you. If any (or maybe all) of these reasons resonate with you, starting a business has probably been on your mind for quite some time. It can seem incredibly daunting to start, for good reason. There are so many steps involved, and more than anything, starting a business involves a hefty amount of risk. But just as so many others have taken the risk and been successful (and continue to be successful), you could experience the same satisfaction. Not to mention, you could finally find a job that brings you a joy. Whether you’re ready to start a food truck or open that doggie daycare you’ve always dreamt of, there are some key factors to help you on the way to starting a business in a responsible manner that will set you up for success. Read on to see the ultimate guide to getting your business up and running. You likely already have ideas on what you want your business to do, but Business News Daily gives excellent advice on how to fine-tune everything: “Once you’ve narrowed your list of ideas down to one or two, do a quick search for existing companies in your chosen industry. Learn what current brand leaders are doing, and figure out how you can do it better.” The best way to generate leads and maintain a competitive edge is by offering something that your competitors cannot; use this as a driving force for honing your business idea. Assess what the purpose of your business is, determine your core demographic (as well as how to reach them), and figure out your end goals. Do you need someone to help you out off the bat? Will you need to hire employees? What will a workday look like? There are countless questions that can be asked to determine a good business model, but the best approach lies in backwards design. If your bank account is currently enough to get you a burger at In-N-Out, you’re going to need to secure some finances before making one of the biggest financial investments of your life. Working on the side to acquire more monetary value does not have to be putting your dreams of owning a business off, rather, this should be seen as a crucial step in making your business owning future more attainable. Additionally, it’s more than normal to not front all the costs at the beginning. But once your funds are looking a bit better, you can start getting to the stages where you acquire the space you need. Whether opening a catering business, a brow waxing studio, or the city’s most promising new taqueria, you’re going to need a building. In order to get the building your business needs to be successful, you’re going to benefit highly from receiving a non-recourse loan. As we’ve discussed in previous blogs, a non-recourse loan doesn’t hold you liable for any additional funds, and works much more favorably in the borrower’s best interests. 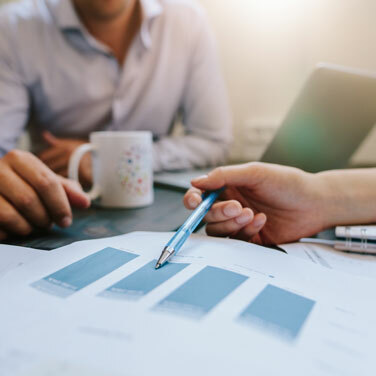 These types of loans are often used for mortgages, and could work to serve you in acquiring the space that your business needs. Our non-recourse loan lenders are here to help you apply for a loan that can help you take ownership of your business’ environment. 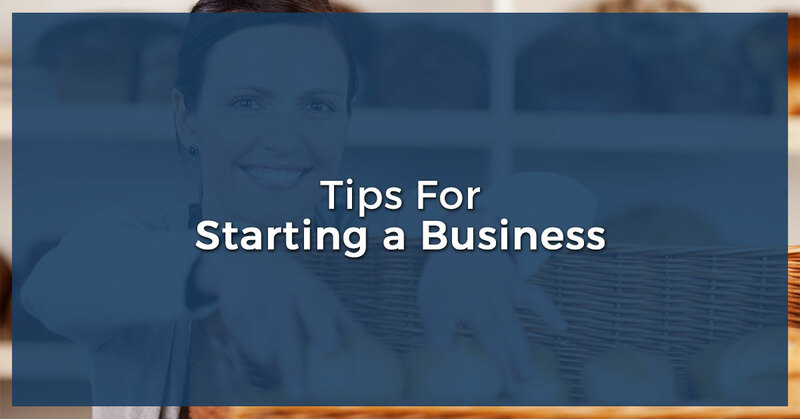 Each of these steps are just the beginning in a long list of how to get a successful business going, but serve as an excellent guide for getting started. Considering that 48 percent of all employees in the United States work for a small business, taking the leap towards owning your own enterprise is an immensely important way to contribute to the economy (and to society as well). Our financial team at First Western Federal Savings Bank is committed to helping you get the non-recourse loan you need. Whether you need a non-recourse loan for a residential property, or if you’re looking to expand commercially, we would love to work with you to get you on the path to financial success. Contact the nation’s leaders in non-recourse loans today, and build a brighter future for tomorrow.